So many goals – that without using the automation it will be so tiring to achieve all that within even an hour of work each. But with automation – its easy peasy to achieve all of that for ALL of you customers. Customer readiness – I make sure I send my customer some tips prior to the event, a check list to make sure she doesn’t forget anything and even a way to order Pizza smartly (with my pizza calculator). Maximizing the experience – I take control of the process of the invitation of guests of the event and teach my customer of the Zivi Kivi 4 Reminder System so that she can have a breeze during this nerve-wracking phase of inviting people to the event. Helping the customer – I educate the customer about options for dishes and about the potential disadvantages of sugar food. Upsell – I automatically suggest a time-based offer (24 hours) with an option to buy an upgrade to the package for a small fee. Its not for everyone and you can tweak it to be more easy to digest. But after jab jab jab (give give give) I want one right hook (ask). Marketing – I keep giving those emails and make sure my customer knows I am the expert. I ask for details about special kids in the event, about the time the birthday kid will arrive to the location, and all sort of details that prove I am a master at this. Those mails evolve over time. When I see someone reply to one of them I try to analyze their response and tweak the flow. I also try to look for good titles for the emails, which segway us perfectly to the next section. If you want some book references please email me to zivi@balloonartistpodcast.com. For a very long time I was marketing myself with only the features of my service. I was celebrating every time I had a new feature (e.g – 2 different backdrops that I can choose from before the show according to light condition. this is not a real feature, just an example). But to be honest with you – the features never helped me sell my services. The customer really don’t care that much. It was only after I started to focus my marketing on the benefits of the service that I started to feel a shift with closure rates. And mind you – I have a very expensive service in comparison to what you can get with 5 minutes of google! Homework: go over your emails – make sure they are written well and to the point. Verify they are focused on the benefits and not the features of your service. Start working on your next funnel such as – post event customer, follow ups 11 months later and even pre sales funnel. If you enjoyed this guide and need some helping hand, stay tuned for the end of season 1. For a short period of time you might have the opportunity to boost your business and fill your sleeves with aces cards. Start by Going to the Automation tab in your Mailchimp account and press the “Create Automation Workflow” button. Every time you press this button a saving-time-fairy is born. Next, select the list you have created on lesson 3. In the future you might need multiple list such as: one list for your balloon business, and one for another totally different business. For example – I have a list for my Entertainment business (which includes decor customers) and one list for the podcast listeners (my content creation business). There are so many cool workflows to choose from. But this can be intimidating, so for now just settle for what you need for a “Post Sales, Pre Event flow” which basically means “people who booked a gig”. Reminder: you will save an hour of work on each one of them by setting a flow that takes one hour to write each time, only the Auto Responder Software (e.g Mailchimp) will do all the work for you and will even be able to report stats and identify problems. Choose a good name for the automation. When you have 20 of those, it can be a bit confusing. Also – I personally monitor how much time I saved by getting a daily digest email. It reminds me how lucky I am for having all of that free time to do other stuff. Now set the trigger of the Automation flow. You basically want all of the people that subscribed to you (and on a per email basis we will set it to send an email ONLY to pre-sale subscribers that are relevant – the right customer type). Now you can add 1 email. Don’t add 5 – its better to finalize one and replicate it to save time on saving time. For each email you need to write a GREAT email subject. If you are not experienced with copy writing you should just write what the email is about. Search google for email subject examples and read them on your soon to be acquired free time to improve Open Rate. In short – ALL that your subject line need to do is create a need to open the mail. Use the simplest template you can. A complicated template will not be opened… I get with my customers to 80% open rate with a very clean 1 column design. This is the most important step of all steps. It’s where the logic hides and when you should hear a click in your head of everything making sudden sense. Each email will be sent only if the type of event is the one you do most (100 times a year) and (due to the all statement) all customers that already booked you (sale – pre event). Homework – create your first automation flow. Thye most important field 2 is customer status. Notice how the field is not visible and see below the section about funnels to learn more. Don’t wait long. Go NOW and create your first list and chose your fields wisely. Each time a prospect and you goes through a process together and you have an end goal in mind for them – you are actually pushing your prospect in a funnel. The end goal might be a booking. It might be a happy customer that is well prepared for the event. It might be a repeat customer that gets reminders for more bookings etc. Sometimes some people go into the funnel but doesn’t come up through the other end. This is why its called a funnel. The funnel that we will focus on in this course is the post sale pre event funnel. Pre sale funnel (one for each customer type… but start with the one type of events that you do most. remeber Pareto law of 80/20) – the goal is to get people to book me and to talk about me and to remember me. Funnel length is currently 11 emails! Got a question about any of this? want a more private explanation over mail or skype?  shoot me an email now at zivi@balloonartistpodcast.com. When you think of a specific email in a funnel, it has to do one of the following (or more) for you and must include one CTA (call to action or email goal). Like – are you one of the “good guys”? does people like you? why? are you funny? are you smart? Trust – this is actually a key factor and is the hardest to achieve. BUT – technology does allow you to prove your are trustwortyh. For example – if you say your next email will be sent in one hour and it does – you are building your trust. If you say you send 4 tips and sends 5 that is good also as overdelivering creates trust. Sounds familiar? By incorporating know like and trust to your copy on all opportunities you are creating customers that likes to go through your funnels and will read your emails! Home work: finalize setting up your first list. An Introduction to Mailchimp and why it doesn’t matter which auto responder you use. Customers are afraid to pay too much. But after that is get out of the way, they actually enjoy upgrading the event and will spend more money either through you or through someone else. Automation is the best way to suggest an upsell without being too salesy. Finally – it is so easy to sound cheerful on that mail – while in fact – if you had to explain everything on the phone 100 times a year – it gets boring isn’t it? You need to use a service like Mailchimp (or aweber or ActiveCampain or whatnot) since managing the scheduled emails is a mess. if you do it manually you will eventually stop doing it completely. This is the reason that I don’t care which service you choose for this. All are good and useful. On some countries Mailchimp is free including the Automation feature (I had to pay to use it). If it has a cost for you – bummer. But it is worth it and is not that much. What you need mainly is a way to move a customer through phases, so that for each phase you could dispatch an army of emails towards your client. For example – each customer will get a few emails during the presale phase (including reminders to book you and cool advises on how to pick your service provider), a few emails after booking you, a few emails after the event etc. Mailchimp has no affiliate program. I am not getting a commission in case you chose them. And in general – every time I use an affiliate link or offer – you will know about it. I promise. Start with the free account. If you can’t use the Automation – buy the 9 dollars stamps and work on your automation. Once you feel that all emails are ready you could upgrade to the 10 dollars a month package. If you have a way to go into the Automation tab – you are fine. Mailchimp orientation: your customers will be people on a list. You can run multiple lists if you run different businesses. So Lists tab is very important for starting to use the service. Campaigns are broadcasts done as soon as you press the send button. Reports help you see how many people opened your emails. Automation is where the magic happens and you schedule your emails. This is where you basically automate your business. In this email course on business automation – I will only show you how to create automation for the emails you send your customer after he booked you (post sale, pre event funnel or flow). Remember those five things you collected as homework that you wish you could say to your customers once they book you? Well Now is the time to create about 1-3 paragraphs of text to explain them. Keep them on a text or doc file for now. We will need them in a lesson or two. Get ready for the next lesson – it will show you a tip that will make things click about setting up your list. If you perform 100 times a year (or MORE) at the same type of gig (for example – decor of new born. or twisting at a birthday. or magic show at a corporate event) – as long as the customer needs to know roughly the same things – then you will have the opportunity to save 100 hours of your time (and to overdeliver). If you are a jack of all trades then please consider to unsubscribe now. I really am not sure that I can help you or anyone can. But please stick around if you must need motivation and inspiration to MASTER a field (I personally chose to master birthdays and I love every minute of it).